1945 September 25th launched as YF-1046 for the U.S. Navy. The order was cancelled the same month. 1946 May completed and chartered by the New Zealand Government to the Northern Steam Ship Company. Named ARANUI. 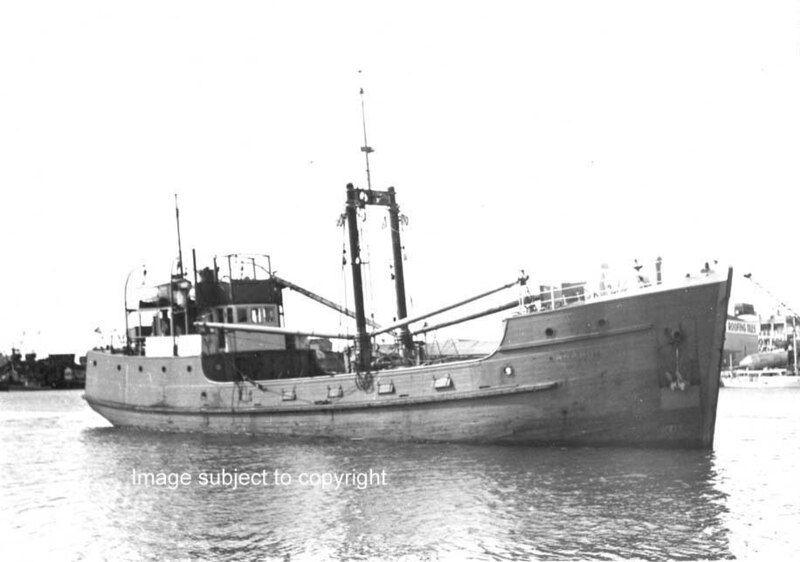 1947 September sold to Winstone Ltd. and employed mainly carrying cement from Portland to Auckland. 1960 sold to Wong Wing of Papeete and subsequently traded in the Tahiti area. 1977 September 15th wrecked in the Tuamotu Archipelago northeast of Tahiti and abandoned. New Zealand Marine News Volume 29 No. 1 1978.